While at UIUC I participated in a robotics competition called the Midwestern Robotics Design Competition (MRDC). It is a task based competition in an arena with 4 robots competing at the same time (one year we had to pick up and place soccer cones, another we putted golf balls). It is similar to FIRST robotics for high school. I was the Controls Team Captain for the MuTan(Clan) (1 of 4 teams from iRobotics). Below you can see the finals video from our sophomore year where we won 2nd place overall! I'm the one holding the computer using a command line interface because we had to throw something together at the last minute due to one of our MCUs frying the night before. Also, we were having communication issues (we were using WiFi in a crowded gym...) so near the end our robot crashes into the "putting green" as we lose control and we lose all of our balls. The penalty for that caused us to take 2nd place (to another iRobotics team!). We do manage to scoop and score all of them though, it's very exciting you should watch it! After sophomore year we weren't able to come back to the finals again but we did make some improvements and had some fun. Below you can see some of things we were able to do. This is our custom GUI that we made to control, monitor, and transmit data between the XBOX 360 controller and our robot. Doesn't that car look nice? 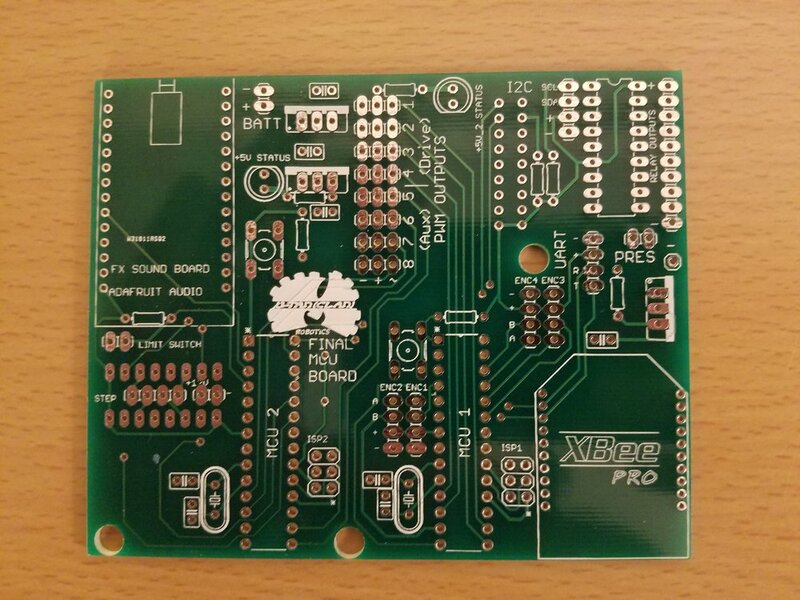 Senior year I made a PCB for us to simplify our design as opposed to using a dev-board.